Soundarie completed her musical career at the prestigious Royal College of Music in London, where she was conferred with the award, Associate of the Royal College of Music, in piano performance and piano accompaniment. While at the Royal College of Music she participated in the prestigious Piano Platform series, which also gave her the opportunity to accompany various instrumentalists and vocalists, and collaborate at various venues including the Royal Festival Hall. As a soloist, Soundarie has performed both locally and internationally. She has performed with the Symphony Orchestra of Sri Lanka playing Beethovan’s piano concerto number one and the famous Greig Piano Concerto. She has performed the Grieg Piano Concerto with the Bombay Symphony Orchestra in 2009. In 2015, she performed the Rhapsody in Blue with the Symphony Orchestra of Sri Lanka. She enjoys collaborating with various singers and instrumentalists for recitals. Soundarie is the Founder and Music Director of Sri Lanka’s premiere female ensemble, ‘Soul Sounds’ the first choir in Sri Lanka, to perform and win awards internationally over the last ten years, with acclaimed performances in India, Australia, China, Kuwait, Austria, France, and recently the USA, Malaysia, and South Africa, thus placing Sri Lanka on the map of International choral Music. She is also the Sri Lankan Representative on the Council for Musica Mundi, the International Organisation that hosts several prestigious International Choral Festivals and Competitions and is a jury member at international choral competitions. The ‘Soul Sounds Academy’ is founded by Soundarie, where giving opportunities for those passionate about music is her goal.. Besides having a hectic schedule in the field of music, Soundarie is also a qualified lawyer with a masters in law, in the field of Intellectual Property and Entertainment Law from the University of California, Berkeley. 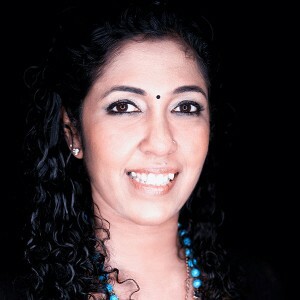 She is currently Deputy Director at the SAARC Cultural Centre based in Sri Lanka. Among her awards include the SAARC Women of Achievement Award, Zonta Award, and the Bunka Award presented by the Japan/Sri Lanka Association.